It’s been an article of faith that any measure that would be good for workers -- raising the minimum wage, guaranteeing paid leave, boosting worker ownership -- must be bad for business and the economy. Of course, that’s not actually the case. Results-minded companies are embracing the idea of workers as resources worth investing in, not just as commodities. 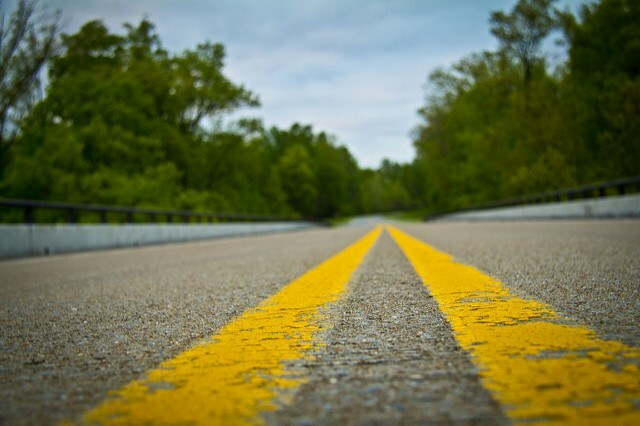 They’re adopting what groups like the American Sustainable Business Council (ASBC) call “high-road” business practices. The high road covers a lot of ground, and it’s only starting to gain prominence with policymakers and the media. In time, however, it could change for the better how companies take care of business. Some high-road policies are fairly well known -- raising the minimum wage, guaranteeing paid family leave, paid sick days, and more. If you’ve been following the news, you’ve probably seen a story on how important these policies are to workers, or on how far we’ve fallen behind other nations in guaranteeing them, or how a state or city has passed laws guaranteeing one or more of these benefits. Other high-road policies are less familiar -- increasing worker ownership to give more employees a share of their company’s success; “banning the box” to give applicants who’ve served time a fair chance at a job; supporting worker skills development through funding for college or other training programs. These widely different policies, aimed at different groups, have one thing in common: They benefit not just the worker, but also the bottom line. High-road policies, put into practice, help the bottom line because they unleash the ingenuity, energy and devotion employees at all levels have to offer – and want to offer – if their basic human needs are considered and their efforts are appreciated. High-road policies earn a level of loyalty and productivity no amount of labor-intensive micromanaging can instill. When a company invests in its people’s wellbeing, those people become invested in the company’s success. Companies can set rigorous standards and ambitious goals because people aren’t trying to just get by, or working with one eye on the clock and the other on the door. They’re motivated to stay, which means employee turnover is lower. Companies that reduce the high cost of turnover, both in lost productivity and having to recruit and train replacements, come out ahead. While measurements vary, one estimate found that the cost to replace a mid-range position worker could be 20 percent of his or her salary, and cost to replace an executive could be as high as 213 percent. That’s without knowing for sure you’ll get your money’s worth from that new hire. While it’s harder to peg a specific ROI for engaged, productive employees, high-road policies help ensure people come to work focused and motivated. Whatever your job level, if you’re worried about a new baby or seriously ill family member, if you’ve got the flu yourself, or if your pay is so low you’re juggling rent and other necessities, it’s hard to stay focused, work hard and fast, or make a good impression on those valuable customers. Investing in high-road benefits does have a cost to the company, of course. A higher wage means less cash on hand; paid leave also means shifting schedules around. But like any good business investment, these benefits can be expected to pay off down the road – perhaps sooner, if you let employees know what you are doing, and why. Fair pay incentivizes those seasonal workers to work hard so they’ll be asked back, and they also come back year after year, which saves the company time and money on recruitment. “Being an employer that people continually want to come back to, in a seasonal capacity, is really exciting,” Rasnake says. Or ask John Abrams, president and CEO of South Mountain Co., an architectural firm on Martha’s Vineyard that focuses heavily on environmentally friendly buildings. The company is a worker cooperative that offers employees shares after five years and 7500 hours of work. “I believe that whatever modest successes we have had are directly attributable to the decision to become a worker cooperative 30 years ago,” Abrams said. Initially, there were concerns about how becoming a cooperative might change the company’s values, but South Mountain solved this by factoring ownership interest into its hiring criteria. The company assumes all new hires will take an ownership stake, and works to ensure their values mesh with the company’s. So far, it’s gone well. As more companies make the business case for high-road practices, more policymakers will listen -- as they often do when the topic is more jobs and more growth in their regions. But getting all firms to take the high road will require many more Innovative executives to lead the way by going public with their support. One way is to sign these High Road Workplace Principles. Taking care of business should mean taking care of employees – every employee in every business. With enough business support, some day it will. Zach Bernstein is Manager of Research and Social Media for the American Sustainable Business Council. The <a href="http://asbcouncil.org">American Sustainable Business Council (ASBC)</a> is a network of companies and business associations. Its column, Policy Points, identifies public policies where a business voice, grounded in principles of innovation, fairness and environmental stewardship, can make an essential difference in the advocacy process. The goal is to arm readers with information and specific actions to take. As business leaders, we can and must support policy change to help make the economy more green and sustainable. The column editor is Richard Eidlin, ASBC's Vice President - Public Policy and Business Engagement.